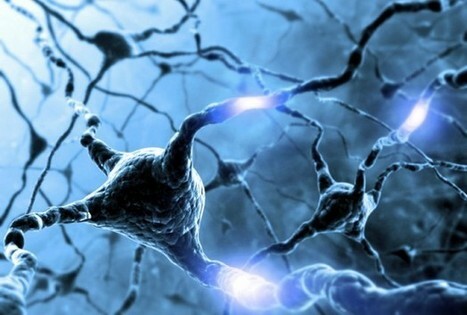 Researchers recently found that a single gene may account for as much as 3% of total variation in human intelligence. If this result holds, it suggests some obvious strategies for developing new kinds of cognitive enhancers since it implies that a single protein (klotho) may be responsible for as much as a 6 point IQ boost. To put this in perspective, there were previously no other single-point genes believed to account for even a 1 point IQ gain. And a 6 point IQ boost is almost the difference between the average farm laborer and the average elementary school teacher. So this could be a big deal. And the longevity benefit of klotho is even more well studied and potentially larger than the cognitive benefit. For example, when researchers checked to see how common the KL-VS gene is at different ages, they found that by age 79+, there’s a 1.57x odds ratio in favor of having this gene despite there being a 4x odds ratio against having it at birth. Klotho gets this effect by being extremely cardio-protective via a unique pathway that helps regulate blood calcium levels much better as folks age. So how can you benefit from this? For one, you can check 23andMe right now and look up if you have a functional copy of KL-VS. Either click the link to 23andMe or check your raw data file: look for Rs9536314 and if it’s GT, you’re already one of the lucky folks (1 in 5) with high klotho levels and potentially boosted longevity/cognition. But what if you’re TT or GG? That’s where it gets interesting. All the articles recently published about klotho are repeating boilerplate from the researchers about how “someday maybe someone will find a drug to boost klotho levels”. Well, since Google Scholar and Library Genesis exist, that day is today and that researcher is me. It turns out that lots of people get their klotho levels increased as a side-effect of taking prescription forms of “activated” vitamin D (VDRAs) for chronic kidney disease (CKD). But there’s no reason to wait until you’re almost dying and need dialysis to start benefiting from this knowledge. Instead, this implies that taking something like 0.25 mcg/day of Calcitriol or 1 mcg/day of Paricalcitol right now for someone without the beneficial KL-VS variant of the KL gene might actually give a huge longevity and IQ boost. The intelligence boost is so large, that if this new study is right and the effects of klotho are at all acute, you should be able to measure it directly with something like quantified mind or perhaps even just raw introspection. Hopefully lots of researchers follows up on the most obvious implications of these two currently unconnected research findings and investigate activated vitamin D as a way to boost longevity and cognition in the 80% of the population lacking functional, klotho producing KL-VS genes. Activated Vitamin D is RX-only. What were you expecting by living in the USA? The intelligence boosting effects look robust from the study across all ages so it would be surprising if it really regressed to “no effect”. Also, the longevity benefits are massively replicated. So we already have mountains of evidence that this gene / protein is super important. That much will not be reversed by future research. Would this drug therapy ameliorate the effects of Down’s Syndrome? http://www.vetrxdirect.com/product/view/calcitriol-capsules-dogs-cats/variation-11452?utm_medium=shoppingengine&utm_source=googlebase&cvsfa=4090&cvsfe=2&cvsfhu=333537333530&gclid=CjwKEAjwgMieBRCB3bqB94e9lD4SJABW3sTNKfuu8_vUmtXb9J-GrbWLHbjqjAF57agU6lgbiG2tRxoC-lfw_wcB looks like you can buy calcitriol for cats online though! online pet pharmacies still require prescriptions. Calcitriol is innocuous enough that it’s probably not too hard to find for sale via a shady no prescription online pharmacy. And in case you’re worried or insecure about having the “bad” variant, well so does Anders Sandberg (at least, I think it’s this one) and he still manages to be a genius polymath. TT. why do I have ALL the dumb genes. Correlation v causation. There’s already a huge push to take vit d supplements, but no evidence that doing so is helpful for anything but bone density. Vit d levels seem to be markers of health, but supplements don’t actually solve the problems. Regular Vitamin D supplements don’t boost klotho levels. So skepticism about Vitamin D boosting cognition maybe shouldn’t translates 1-to-1 to VDRAs. I have general skepticism about supplementation in general. It seems every time a correlation is found with a molecule and health, there’s a huge fad to go supplement- and they almost never pan out and are sometimes harmful. Also, could you link the study you’re talking about. The one I saw linked previously about klotho was very unimpressive and way overstating its findings based on only 250 people. Any word on the effects of natural, free vitamin d, we all make from being in the sun? Laura: What about the ones that have panned out, like iodized salt? I don’t believe it, it didn’t show up in mega-size studies, and they didn’t check it against a mega-size database before publication. The group has done many studies looking for various effects of this gene using different measures. I’m willing to bet on it largely fading away if anyone wants to set up terms. — Cool! Are you trying Calcitriol yerself and noticing any prominence? TT, fyi. I share the skeptical prior and will await QS results. Carl: I expect it can’t be exactly 6 points as well. The way they interpolated IQ from other measures wouldn’t get a precise effect size that could be expected to replicate even if it were correct that KL-VS was positive. Do you have any thoughts on the longevity effects? I read one article where a researcher claimed having KL-VS was better than not having APOE 4. Bold claim… too bold? The claimed IQ effect (as a portion of variance) is orders of magnitude larger than the top hits from the huge studies (3% vs 0.02%). Past studies had strong statistical power to detect 3% effects. I’d say the IQ effect will entirely or almost entirely go away. I haven’t looked into the longevity to do a similar analysis. Patrik – iodine is an essential micronutrient, the absence of which leads to obvious and well documented problems – the mechanism of which is understood -ie goiter, and had been added to salt since the 1950s. A lot of the ‘essential’ vitamins and minerals are known by what happens when they are severely deficient- ie, we know it’s really bad not to have *any* of these things. The necessity of a minimum dose, however, does not prove the utility of taking megadoses, which many people do to ‘boost their immunity,’ or ‘improve their focus,’ or ‘clean out their toxins,’ or other such trendy health ideas. And it can be harmful. Calcium, for example, used to be recommended for all postmenopausal women to prevent osteoporosis. Then they discovered that in order to improve bone density, they should start taking it much younger and with vit D. Then they discovered that hey- calcium supplementation leads to more cardiac arrythmias and sudden cardiac death. So now they only recommend it for people with documented low bone density and no heart or kidney problems. Vit D plays a large role in calcium homestasis, and megadoses do indeed lead to toxicity. The doses most people take are fine (~1000IU), but I’ve seen people in this community taking 10,000IU a day on the basis that more is obviously better. It’s not. Medsmex has generic Rocaltrol, $20 for 50 tabs. I’ve ordered Metformin and Indocil from them for years, never any problems. Googling the function of Klotho seems to indicate that it’s a downregulator for vitamin D production, and the reduction in lifespan in Klotho-deficient mice goes away if you restrict vitamin D.
So the fact that people upregulate klotho in response to high levels of vitamin D derivatives is not surprising. It looks like the issue is that low klotho is causing some kind of poor metabolisation of vitamin D and related compounds. Under those circumstances, trying to push klotho levels around with calcitriol seems like playing with fire. It is worth mentioning that Vitamin D3, offered as a food supplement is usually offered as Cholecalciferol. I’m heartened by Laura & Eliezer’s skepticism. Extraordinary claims require extraordinary evidence. Three cheers for rationality. Be great if there WAS a live-longer-and-boost-your-IQ pill, though. I look forward to see if this pans out. So why doesn’t plain old D-3 boost klotho level? Why does going straight for calcitriol do the trick while 5,000 IU of D-3 does not? Surely 5,000 IU of D-3 metabolizes into at least .25mcg of calcitriol? This seems worrying. Until we know why GG homozygotes get screwed up, I’d be worried about trying to emulate GT by nearby mechanisms. OTOH, if it were known that the GG negatives are solely due to lack of the protein that the T variant codes for, we could explain why GT hasn’t reached fixation despite KL-VS being an unmitigated good, evading Algernon’s Law. I guess I should look for knockout experiments.